With its circular green malachite gemstone top, this table is a beautiful example of the style of furniture produced in Russia during the reign of the Romanov dynasty. 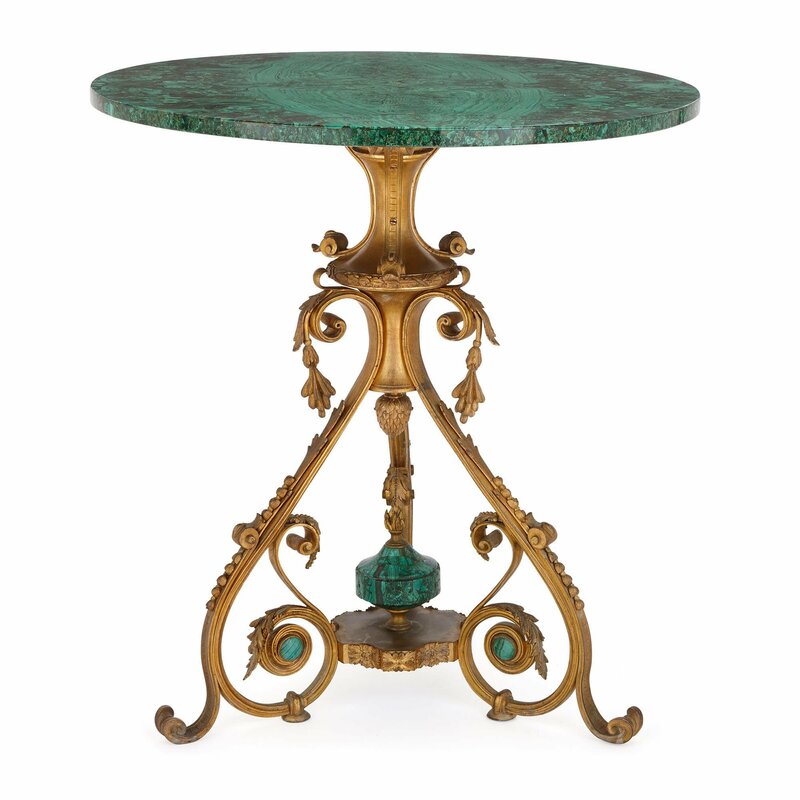 This side table features a circular malachite top, which is supported by an ormolu stem. 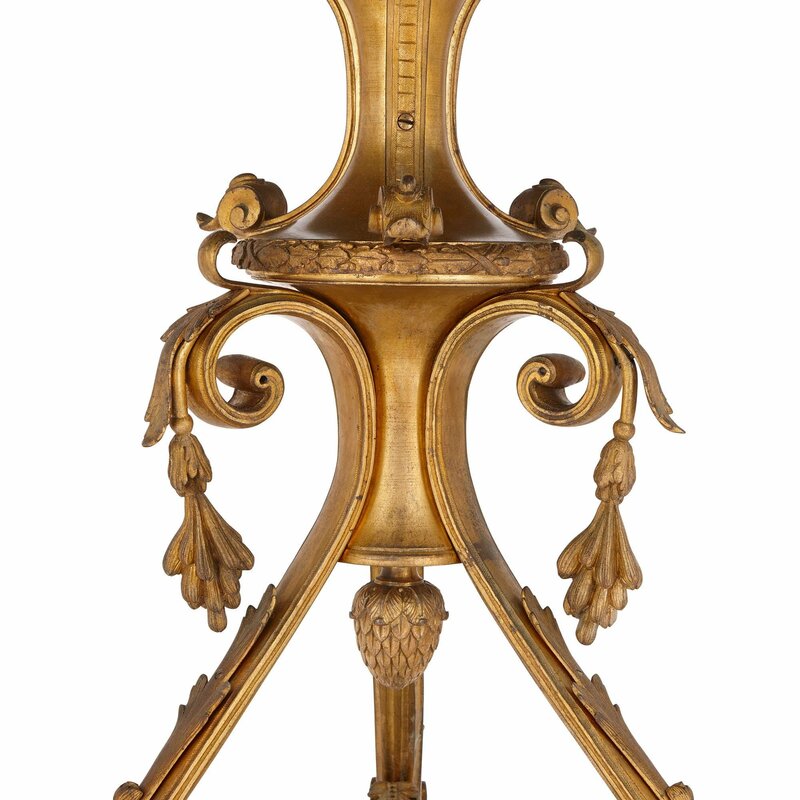 The stem is set on three ormolu legs, which take the form of leafy, scrolled vines, with curled feet enclosing malachite medallions. 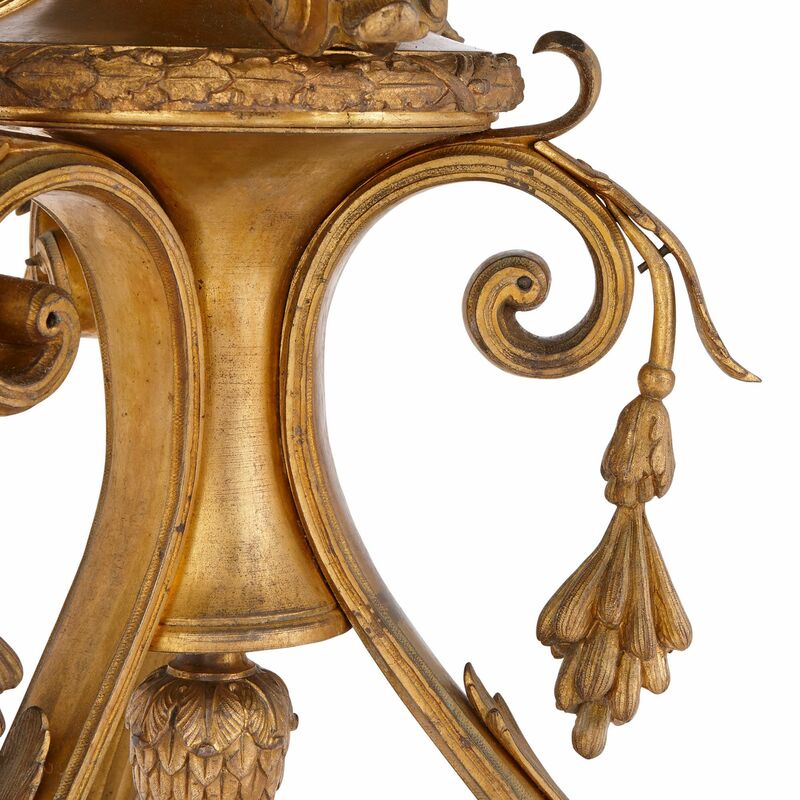 Between the legs, there is a wavy-edged ormolu stretcher, which is topped by a flaming malachite urn. 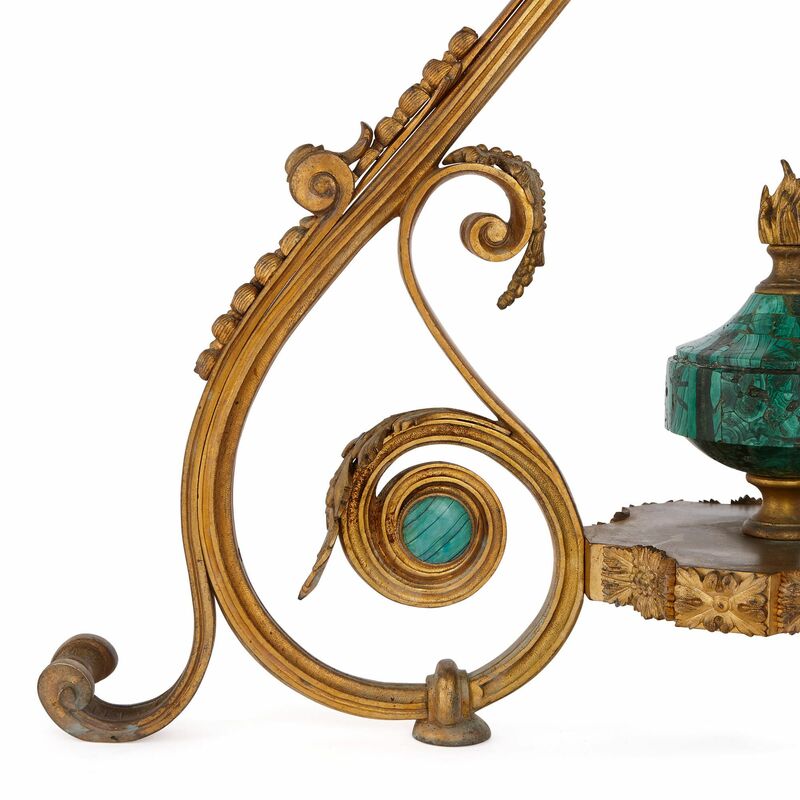 The 19th Century was the golden age for the production of grand malachite items in Russia. 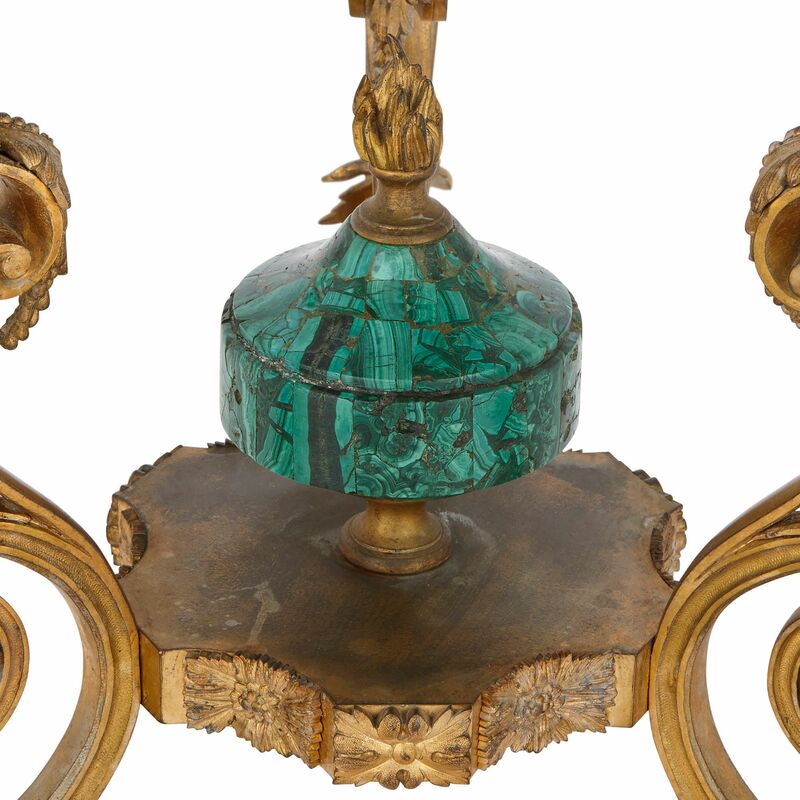 The Russian Tsars used the green gemstone to decorate their palaces, applying it to columns, walls of rooms, and fireplaces, as well as grand pieces of furniture and fine decorative art objects. 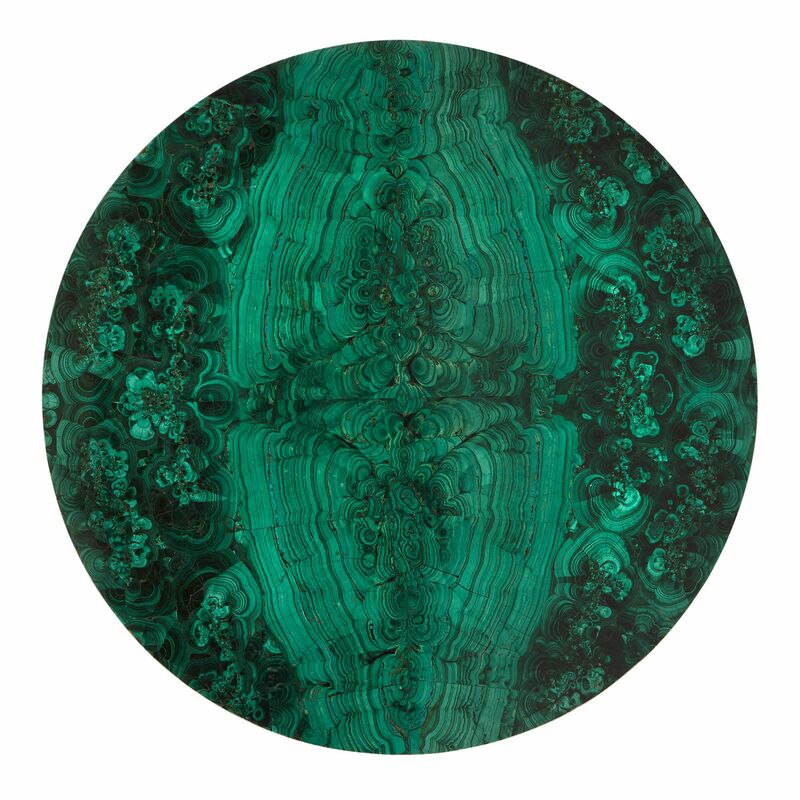 Today, malachite continues to be associated with wealth and prestige.